You're ready to buy new hardwood for your great room or tile for your kitchen or maybe new carpet for all the kids' bedrooms. Whether you're looking at flooring for one room or five - it can be an overwhelming process. So many options, colors and styles! And just when you narrow it down you find yourself trying to envision the floor in your home and how it will match your decor. Shopping for new carpet, tile and hardwood is not always easy. Let us help! We have three steps you can take before you even walk in the store that will make your floor shopping experience less stressful and more enjoyable. The Internet, home decorating magazines or channels like HGTV can be great resources for flooring ideas. Seeing a combination of colors or flooring styles can inspire you to try something you'd never think of on your own. Kermans is always watching these resources to discover the latest trends and styles in flooring. Check out our boards on Pinterest and Houzz for some design inspiration for tile, carpet or hardwood in a variety of rooms and living styles. HGTV's website, publications and television shows can be a great source for flooring inspiration. From practical to fun, HGTV seems to cover it all! Did you know that Kermans is Indianapolis' HGTV Home Flooring by Shaw retailer? See something on HGTV that you love? We can help you find it. Our professional installers will come out to your home to do measurements but you can still do some of the basic legwork yourself. General measurements of the length and width of your room will help our staff point you in the right direction. Those measurements dictate the seam of a carpet or the optimal width of a wood plank - and ultimately help you narrow down your flooring choices. Tile and hardwood, in particular, can be challenging to envision in your home. We've put together these free buyer's guides to help you get ready for your floor shopping. We've also included a few tips on how to best prepare for installation to help things go smoothly from start to finish. You've done your design research. Printed off a few pages, captured some images on your smart phone or torn some pages out of magazines. You've done some basic measurements of your room and made note of the colors already in place. (Tip: bring a throw pillow to the store to help you narrow down your color options!) Now you're ready to go shopping! But wait - there's one more thing Kermans can do to help make your shopping trip enjoyable! Schedule an appointment with one of our design consulants. They are free for all Kermans customers and when you make an advance appointment you can be sure that you will have their undivided attention to answer your questions and help you find the best flooring for your lifestyle and budget. We hope to see you soon at Kermans Flooring in the Castleton area of Indianapolis. When you arrive, you'll find a staff that wants to help you make the smartest flooring decisions for you, your family and your home. 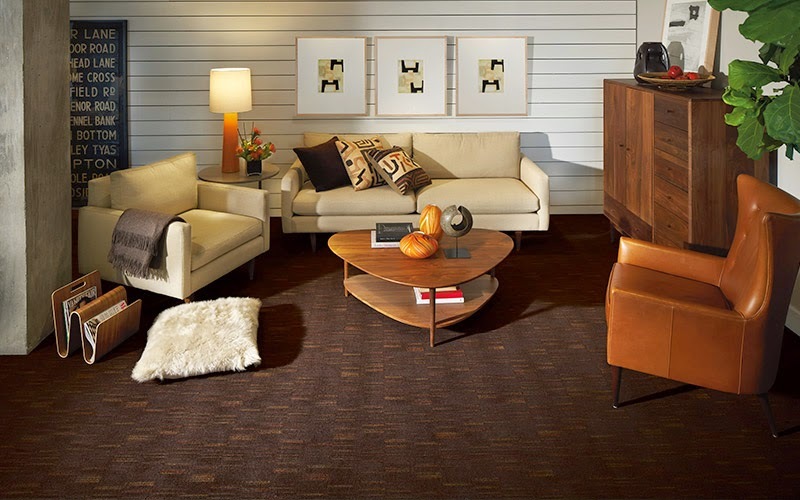 With decades of experience we know that the more you know about carpet, hardwood, tile and area rugs the more inclined you’ll be to do business with Kermans. We have the selection and price you want with the design assistance and reputation you deserve. Stop by our showroom and find your new floor.